We ate this last Friday I think. I’ve been rushed off my feet recently so I’m only just getting round to posting this now. I’m getting ready to move house, work is busy and, as an added bonus, I went down to London midweek to film my slot on a cooking show. It was amazing fun but totally exhausting! And I get to do it all again on Friday! I was afraid that this would be disapointing, or fiddly or something but it was a doddle to make and tasted great. I saw the crust in a recipe for posh fishfingers but I immediately thought it might be a great way to make a sort of low fat fritto misto by skipping the deep frying… which essentially means I can’t call it fritto misto but I’m happy to take liberties with something this delicious! – Defrost any fish that needs defrosting and heat the oven to gas mark 6. – Cut the squid tubes lengthwise then into approximate squares. – Slice the fish fillets across the fillet into fish finger sized bits. – Pat dry all of the seafood using towels or kitchen paper. – Sprinkle the polenta and corn flour over a plate and mix well. 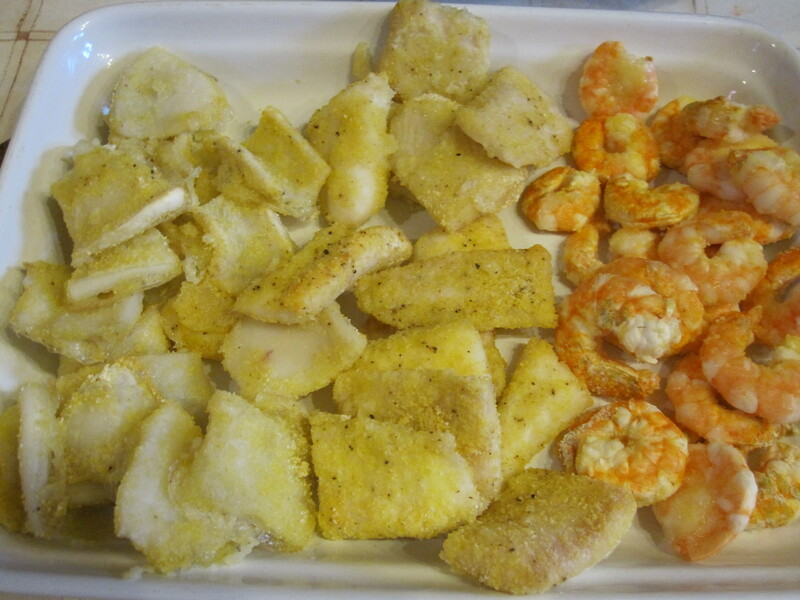 – Cover each piece of seafood in the polenta mixture, pressing each side into it to coat. – Place the coated fish and squid on one large baking tray and the prawns on a smaller one. – Lightly spray with just a little oil. – Put the fish and squid in the oven for 15 minutes. – Turn over the fish and squid carefully and put back in the oven. – Add the prawns and cook everything for a further 10 minutes. 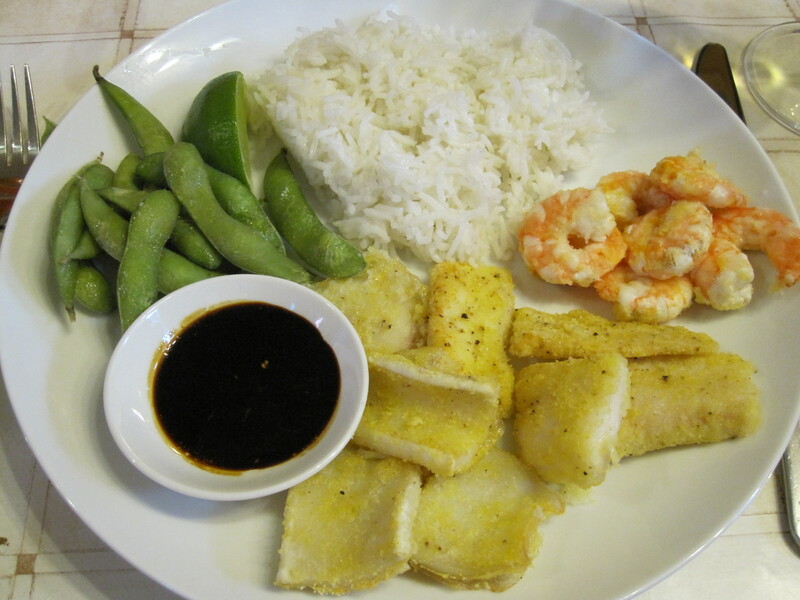 – Serve with basmati rice, edamame and a dipping sauce. I’m always keen to get fish into my diet. However, I am afraid of choking on a fish bone. It’s one of my many neuroses. I’d love to eat fish more often but it just takes so much time and concentration for me to eat a simple piece of fish that I have to get a little sneaky. These burgers are a great way to do that. You could probably sneak them past a kid that doesn’t eat fish too as, while they do taste a little fishy, they are in fact a very meaty burger. Tuna can be expensive to buy fresh but I found frozen tuna steaks in Tesco’s freezer section on 2 for £5, so if you’re canny and shop around it doesn’t have to break the bank. – Use a food processor to mince the tuna until finely chopped. – Add the sesame seeds and wasabi and mix well with a spoon or spatula. – Use your hands to shape into 4 equal burgers. – Chill in the fridge for 30 minutes. 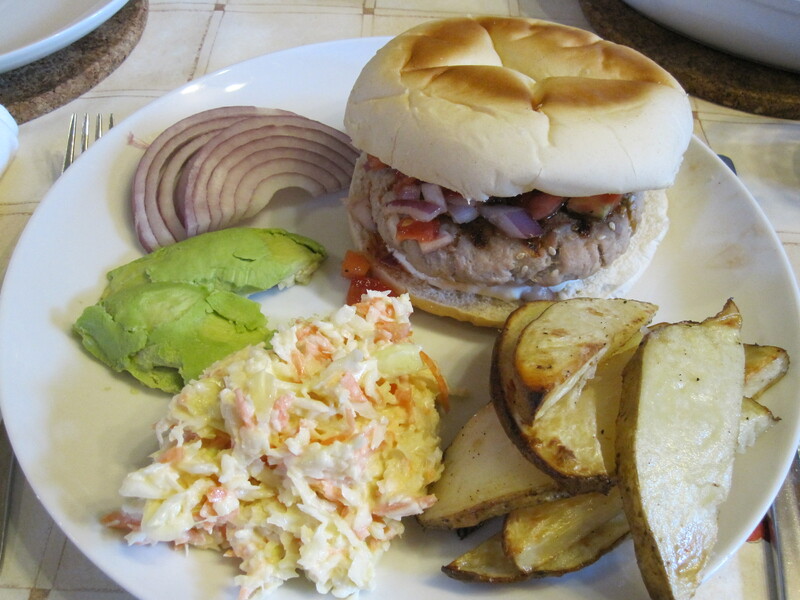 – Cook on a grill, bbq or health grill for 10 minutes, until cooked through. 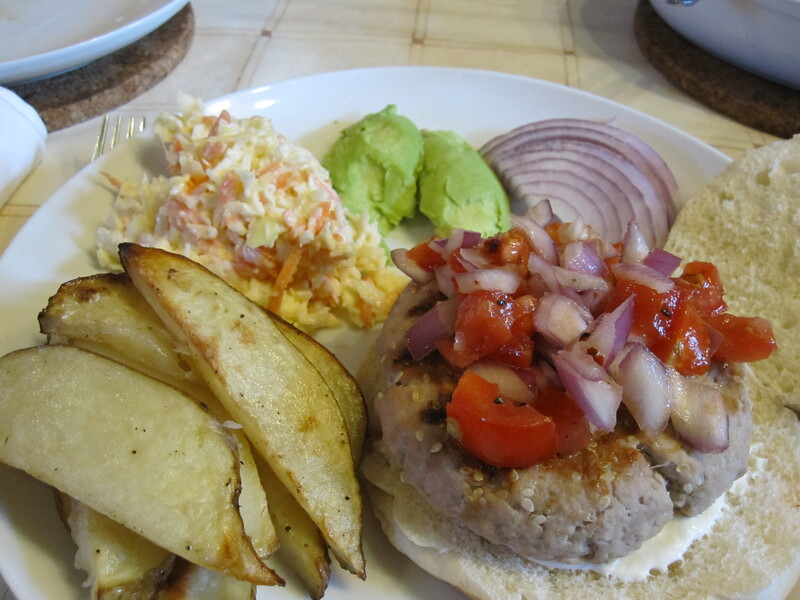 – Serve on buns with creme fraiche and red onion salsa. – Mix together in a bowl, leave to stand for 1 hour. I am rather a fan of coleslaw. I’m going to go ahead and blame the Polish and German bits of me, it seems appropriate. But I LOVE it! However, until Thursday night I had never actually made it before. Until Tuesday morning I had never even considered making it before but I was waiting for my car to get its MOT and was reading Good Food magazine. I thought there would be difficult things like pickling or canning or something. Nope! You cut stuff up into tiny bits and add saucy stuff! So simple! The best thing about this recipe,aside from being so simple, was that I used the grater attachment on the food processor for the first time. Most. Fun. Ever! I could have carried on grating things for hours but I had to restrain myself because as much as I love coleslaw I couldn’t eat that much of it! If you don’t have a food processor to do it for you then just use a regular box grater or slice things very very finely. 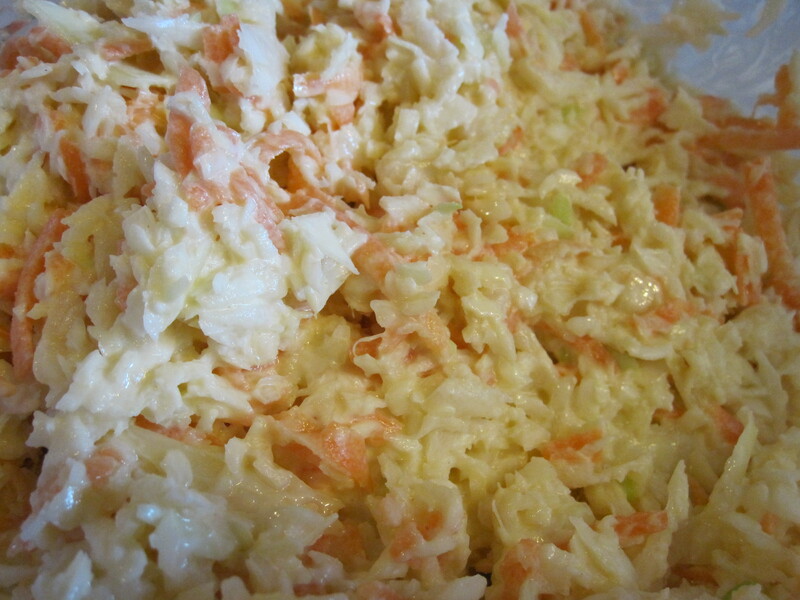 – Grate the cabbage, carrot and onion. – In a meduim sized bowl mix all of the ingredients together. Make sure everything is well combined and all the vegetables are coated. – Keep in the fridge until you need it. Ok, so I’m rather late in posting about this but things have been hectic. As you’ll see in the previous post we had a picnic for my birthday, which was lovely, but we all know that Birthdays are about CAKE!!! My mum makes me a special cake every year. 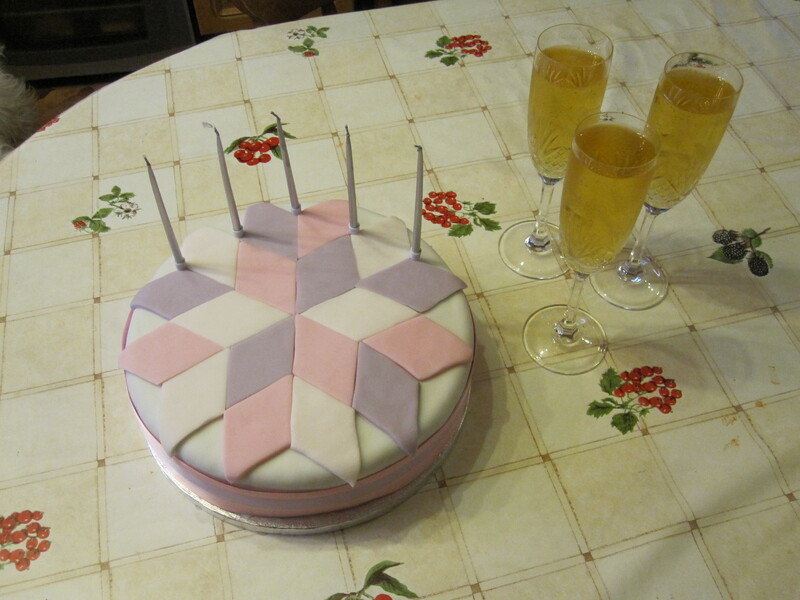 I’ve been taking a patchwork and quilting class recently and so that was the theme of my cake. I’ve been trying to create a similar patterned cushion but the cat keeps sleeping on it so it’s slow going! 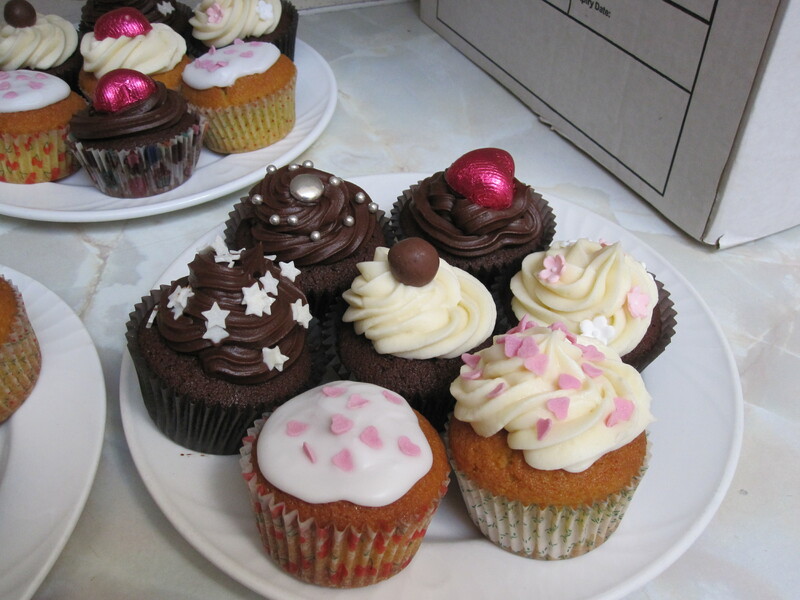 I also took cakes into the office on Wednesday, and I got some excellent feedback! People kept telling me I was in the wrong job, I have to agree but I can’t fund a bakery of my own just yet so I’ll stay for now! I went with basic vanilla and chocolate cupcakes with vanilla and chocolate buttercream and a lemon glace icing for a slightly lighter option. 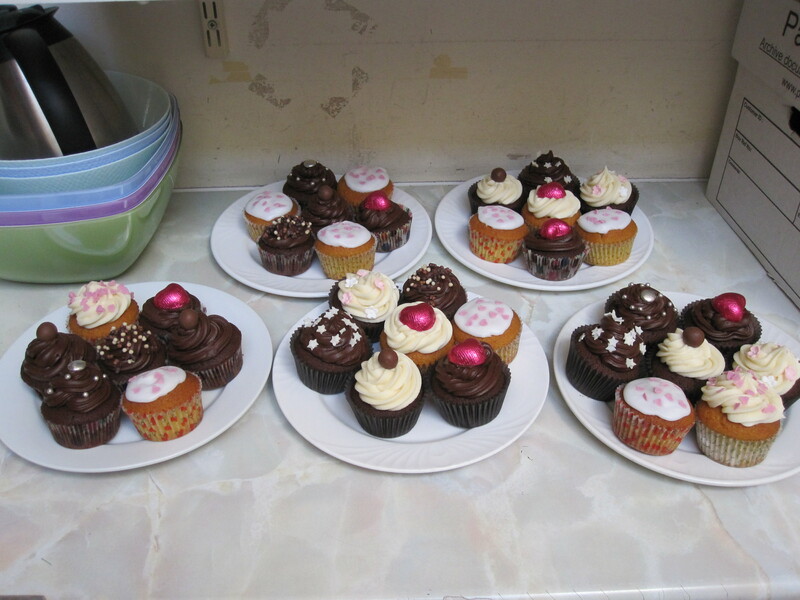 I decorated them in various ways, caramel hearts, malteasers, white chocolate stars, chocolate sprinkles, sugar flowers, sugar hearts and edible ball bearings with silver smarties. 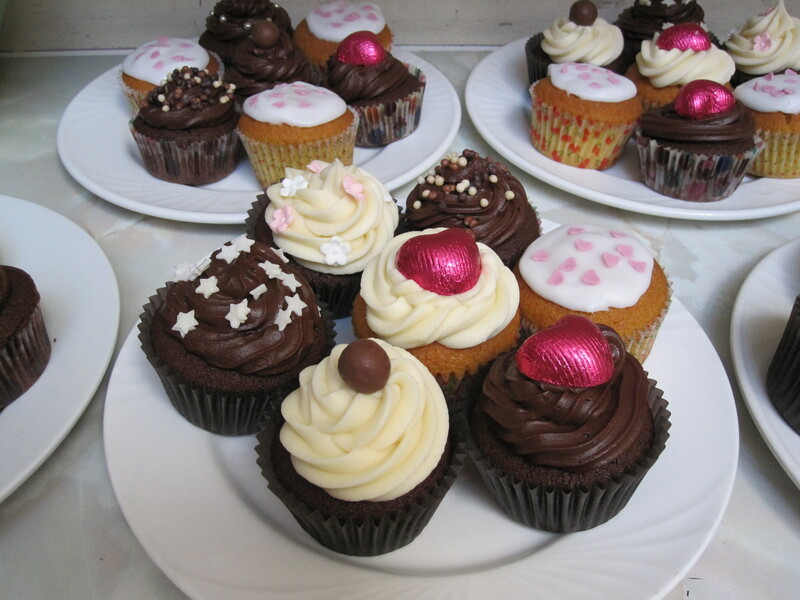 The recipes are just my usual sponge cupcakes with buttercream and glace icing and the decorations were from my, ever growing, collection. I’m especially fond of the vanilla buttercream as I used a new nozzle for piping it, a very large closed one, I really liked how it came out. My absolute favourites are the chocolate cakes with vanilla buttercream and flowers. I may have to make more of these soon simply for the aesthetics! We went for a picnic on Monday for my birthday, went over to the Lake District and had a mooch about. I packed all the usual sandwich/soup/quiche bits and bobs but I had seen this idea over at The Kitchn and couldn’t wait to try it out! I’m trying to introduce more pulses into my diet so this seemed perfect. They really are filling though, Dad polished his off swiftly but I could only eat about half of mine and mum shared! So they do indeed seem to be healthy and filling! – Tip all of the ingredients into a bowl and mix. 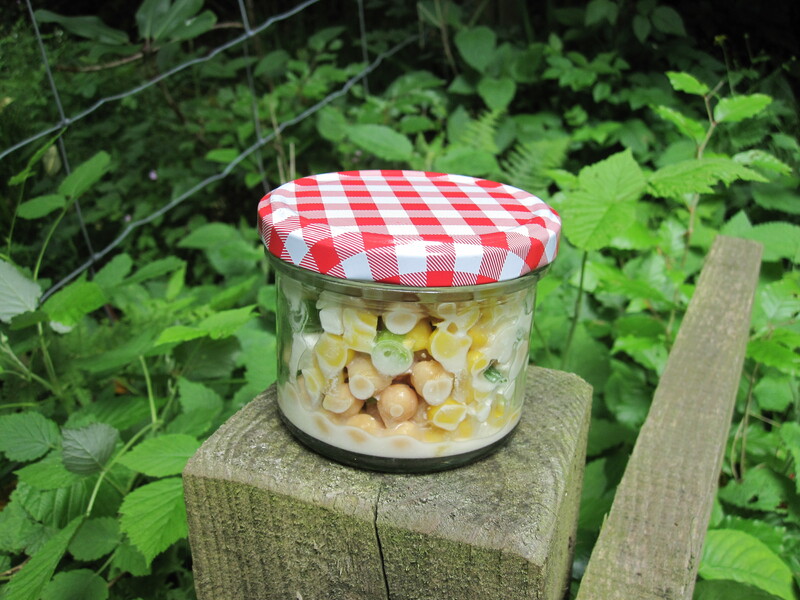 – Spoon into small jars and put the lids on. – Pack up and picnic with individual portions of salad! I’ve been seeing a lot of recipes for Red Pepper sauces about the place and you know my theory, if the universe is going to thrust a recipe into my awareness then I should go ahead and cook it. However, while it was very nice and a little different I have to say my first thoughts on the subject were proven correct. It’s a tomato sauce. It’s a very nice tomato sauce, the red pepper certainly adds an extra element that shakes it out of the usual run of the mill sauces. But still, tomato. That being said it is lovely and a nice little addition that gets you an extra one of your five a day. So I’m willing to let it keep its delusions and perhaps roll this out when I just want something a little bit different. As for the meatballs, well, they’re meatballs, again mixing it up a bit with pork rather than my preferred beef. They’re a rather solid meatball, good and robust so would probably stand up well to being simmered in a sauce if you fancied. – Use your hands to mix together all of the ingredients in a medium sized bowl. – Shape golf ball sized amounts into balls using your hands. – Place on a floured board. -Chill until needed, preferably 30 minutes. – Heat the oven to gas mark 6. 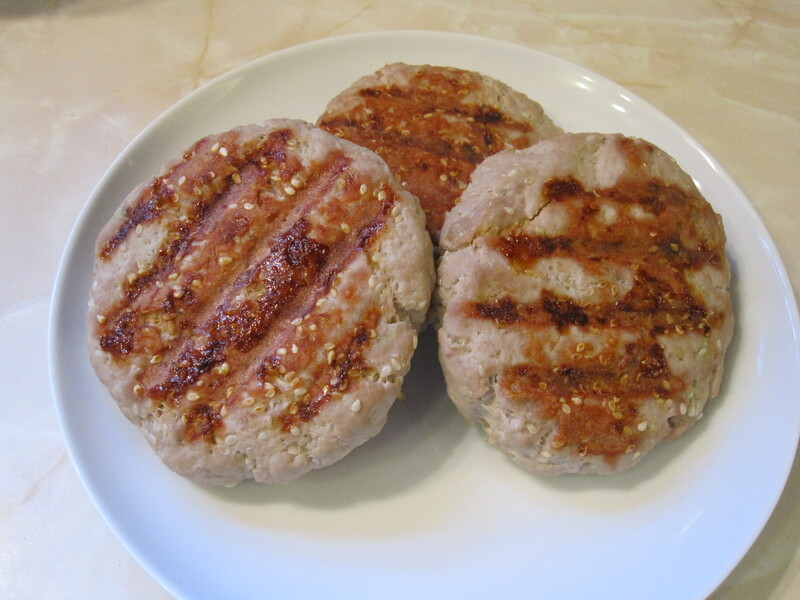 – Place on a grill tray so the fats can drip down below the meatballs. – Cook for 30-40 minutes. – Slice the peppers in half and deseed. – Spread them on a baking dish and spray with a little oil. – Roast for 30-45 minutes until just blackening in places. – Remove from the oven, allow to cool a bit and roughly chop. – Heat a little oil in a medium sized pan. – Fry the onion and garlic until soft. 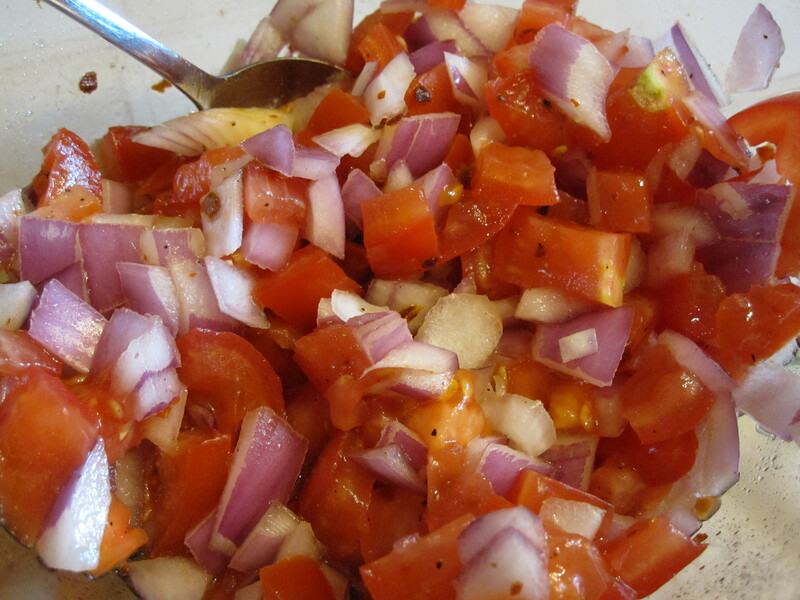 – Add the chopped pepper. – Add the tinned tomatoes as well as 1 can of water. – Bring to a boil then remove from the heat. – Blend until smooth with a stick blender. – Simmer until ready to serve, preferably at least 20 minutes. 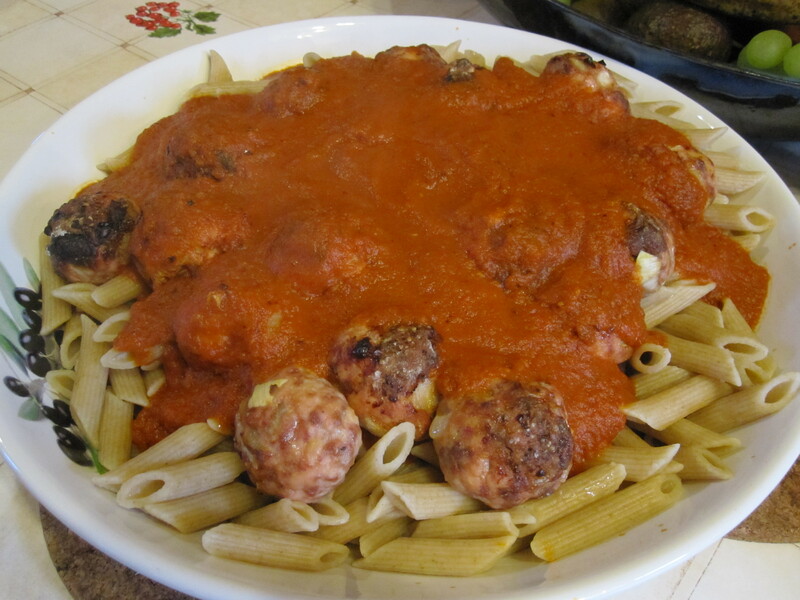 Serve the meatballs and the sauce tossed together over pasta. Rhubarb is one of my favourite (honorary) fruits. (It’s a vegetable, yeah, but it’s so a fruit!) I am absolutely in love with it. I’m from Yorkshire so it’s one of the best bits of local produce I can get (honorable mentions to asparagus and Wendsleydale cheese also). So I do a lot with it usually. This year, however, I’ve been working on something special. 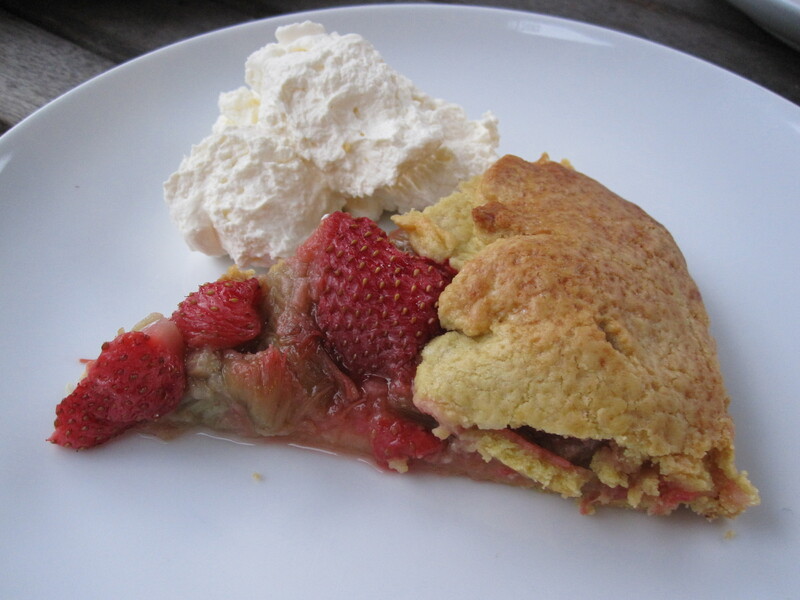 I had hoped to have a lot more rhubarb recipes going on here but I’ve ben channeling it all into this special project. Are you intrigued yet? Well, I’ll cut to the chase. I’m going to be a competitor on a TV food show!!! I’ve had an audition and they liked me and my dish so I’m heading down to London later this month to film the first round of regional heats. If I’ll be filming anything else remains to be be seen (although fingers crossed!!!) but I’m just so happy to have got this far, it was totally unexpected. I won’t say more for now but suffice to say rhubarb plays a big part in my dish! For now I shall give you this recipe. I actually used tinned rhubarb because I saw it in the supermarket and wanted to know what it was like… not great I have to say. I certainly wouldn’t serve it where it was visible or identifiable on its own. But for this purpose it worked well. I would recommend using fresh rhubarb if you have it though. The pastry for this tart was a total invention. I just sort of threw stuff in a mixer. It produced a lovely pastry though, almost shortcake like. I usually feel that pastry should be a tool for keeping ingredients in one place and not a huge deal in its own right but this biscuity, crumbly, delicious pastry actually steps up and does a lot more than keeping the fruit together. All in all an excellent experiment! – In a food processor mix together the flour and sugar with a short pulse or two. – Add the butter, cut into chunks, and whizz it until it forms breadcrumbs. – Add the egg yolk and 1 tbsp of water and blend some more. – If necessary add more water until it comes together as a dough. – Shape the dough into a flat disc. – Place the dough on a square of baking paper or reusable silicon lining. – Roll out the disc into a rough circle. – Transfer the paper, with the pastry on it, onto a large baking tray. 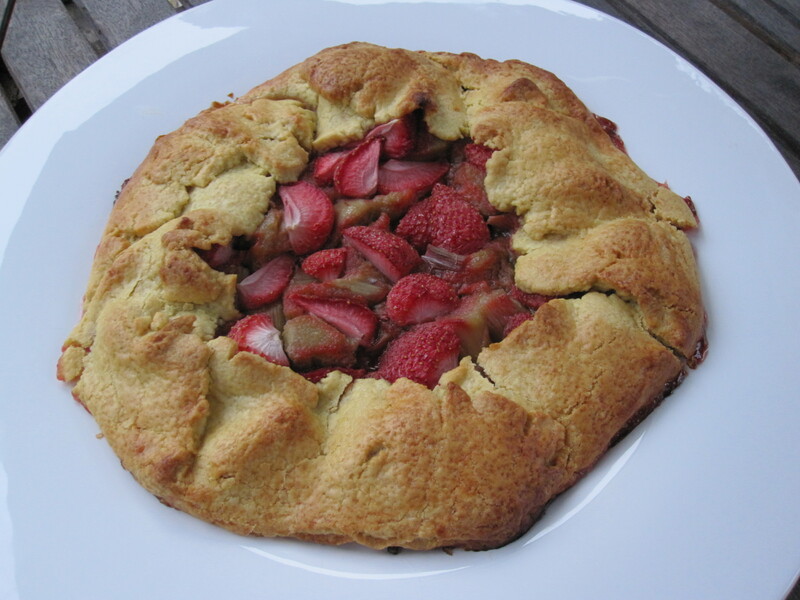 – Place the fruit in the centre of the pastry and sprinkle with the sugar. – Fold up the edges of the pastry over the fruit. Pinch together any over laps and patch any splits. – Gently press around the edges to seal any cracks around the base. – Brush the pastry with a little milk or beaten egg. – Bake for 30 minutes. – Leave to cool on the tray for a little while. In all probability you will have ‘jam’ escaping from the tart. – Carefully slide the tart off the lining and onto a serving plate. – Serve warm with ice cream or whipped cream. *I honestly don’t know what the in thing to call this is. I’ve seen them called gallettes, crostata, freeform tarts, etc. It’s rustic though and it looks rustic so that’s what I’ve gone for. ** Use any fruit you like actually. Almost anything would work well here but it can’t be too wet.